The Martin | Cary Kopczynski & Company, Inc. 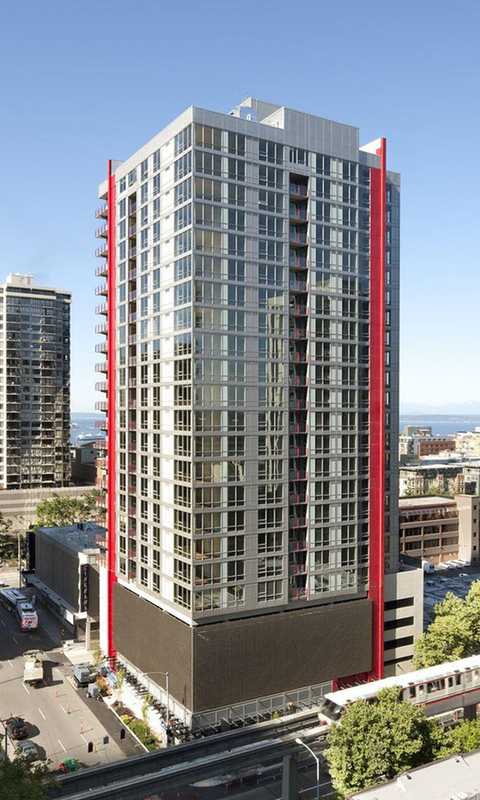 The Martin, a contemporary 24-story luxury apartment tower over subterranean parking, is located in the dynamic Belltown neighborhood of downtown Seattle. The structural system is cast-in-place concrete, with post-tensioned slabs and a shear wall core for seismic and wind resistance. The project achieved LEED Gold. 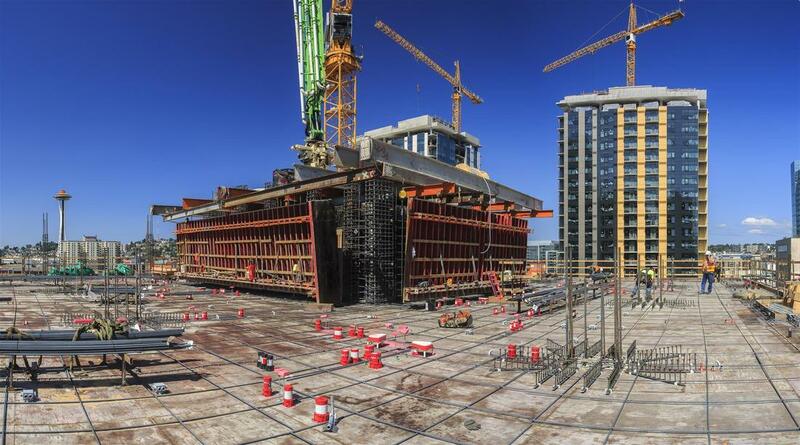 For the first time anywhere in the world, the Martin incorporated a revolutionary seismic design approach, with steel fibrous reinforced concrete (SFRC) used as a rebar replacement in shear wall link beams. The SFRC eliminated all link beam diagonal bars, the bars that create major buildability challenges in conventionally reinforced link beams and significantly reduced the quantities of remaining rebar. The result was a simple and buildable system that eased congestion, facilitated faster construction, and reduced rebar tonnage. The Martin’s pioneering use of SFRC, combined with its other highly efficient and sustainable design features, makes it an excellent example of the value that innovative structural engineering brings to contemporary building design and construction. The Martin received extensive press coverage, including feature stories in ENR and the 2014 CTBUH Awards Book.